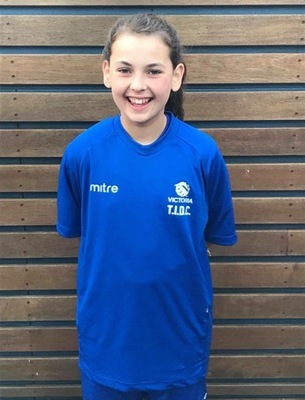 Healesville Soccer Club player Maddie Campbell has been selected to train with the junior women’s futsal team in Spain next year. The Elite 96 program identified the under-14 girls star for the honour on Sunday 4 August. The academy will run from 3 to 11 March next year in Costa Brava. The academy will include mini tournament The Top 12 Cup, with players from Europe, The United States and South America. Maddie said she was excited and shocked at her selection. She’s looking forward to improving herself as a player and meeting other players. “Also, I can’t wait to watch Lionel Messi play live,” she said. “We get to go to a Barcelona game when there. The Campbell family is looking for sponsors to help with a raffle and silent auction to raise money to get Maddie to Spain. Call Courtney Campbell on 0406 690 268 to help.